Truth by Kbaig: Afghanistan! Bearing the Brunt of The American Failures! Afghanistan! Bearing the Brunt of The American Failures! 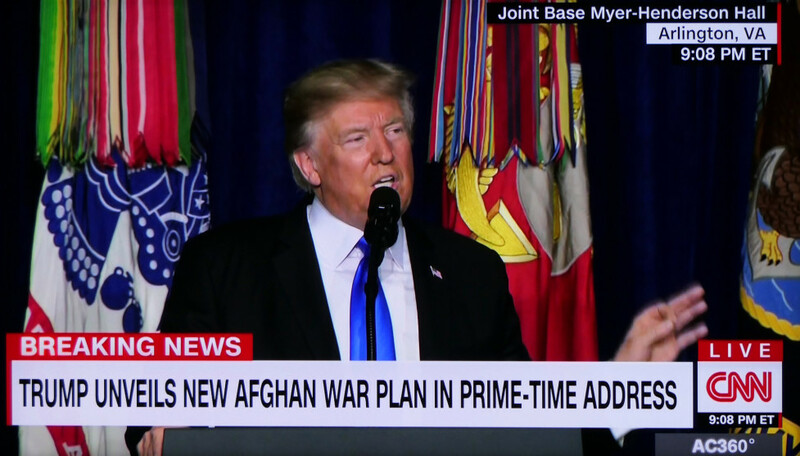 After taking oath as American President, Donald Trump declared the new policy for Afghanistan. This has nothing to do with the development of Afghanistan, there were only claims that no peace talks or negotiations would be held with the Taliban but they will be crushed brutally. 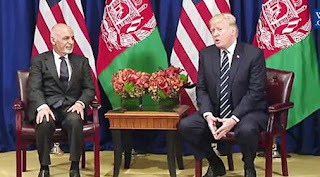 Trump’s silence over the Afghan issue for a long created rumors and concerns except for Taliban who was not concerned about the American policy except their demand that America should give a firm “time frame” for withdrawal of troops. On the other hand, the Afghan govt. was busy in corruption and minting money so they were not willing to let Americans leave Afghanistan. Majority of American defense analysts were of the view that Trump would decide to withdraw the few thousand soldiers present in Afghanistan as he had promised in his election campaign. 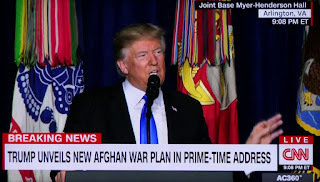 On the night of 21 August, Trump started with these words at Camp David that If American soldiers are pulled out of Afghanistan, Al-Qaeda and ISIS would establish their stronghold in Afghanistan as it was before the 9/11 and become a great threat to America. He said that he will not repeat the mistake of the previous Presidents i.e. withdrawal of troops from Iraq. He continued the tradition of blaming Pakistan and warned Pakistan talking about the so-called strongholds of terrorists. Moreover, Trump announced to send more troops to Afghanistan for the restoration of peace and crushing the Taliban. Pakistan rejected the Trump’s Afghan Policy saying that Trump was speaking the language of the India and Indian interests. 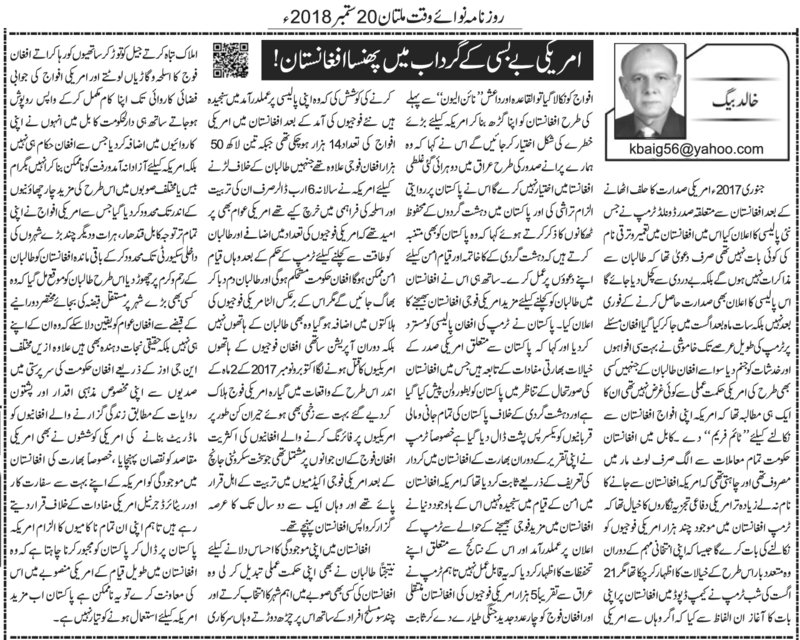 That is why in the scenario of Afghanistan, Pakistan was presented as a villain. All the sacrifices of Pakistan in the American War on Terror were ignored. Trump’s appreciation of Indian role in Afghanistan made it clear that America is not serious in Peace in Afghanistan. World expressed concerns over the Trump’s policy of sending of more American troops that it will not bear any fruit. However, Trump transferred 5000 American soldiers from Iraq to Afghanistan and provided 4 latest warplanes to prove that he is serious in executing his policy. After the arrival of new troops, the number of American troops in Afghanistan has risen up to 14000, they have 350000 Afghan soldiers trained for war against Taliban by spending 6 billion dollars annually on their training. 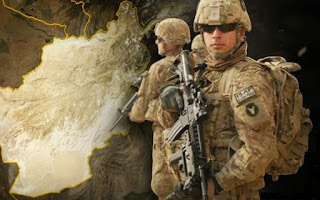 Americans were hopeful that increased number of American soldiers along with trained Afghan soldiers would be able to crush Taliban and the peace would be restored according to the Trump’s policy and Taliban would be crushed. However, the grounds result show that the deaths of Americans have increased. American soldiers are not being killed by Taliban but by the American and Indian trained Afghan soldiers. Only in the months of Oct-Nov 2017, 11 American soldiers were killed by Afghan soldiers while many were injured. Astonishingly, the majority of the Afghan soldiers killing Americans were those who were selected through strict scrutiny and trained for two years at different US military academies. As a result of American policy to crush the Taliban, the Taliban also changed their strategy to show their presence. They started selected any important city of Afghanistan, attacked it with few hundred armed persons, destroyed state assets, attacked prisons to free Taliban imprisoned there, looted weapons and ammunition, military vehicles and vanished away before American air support arrived in the area. They also increased their activities in Kabul. In this way, they not only forced the Afghan army but Americans as well to be limited to Bigram Airbase or such like 4 cantonments in Afghanistan. As a result of new Taliban, strategy Americans left rest of Afghanistan on the mercy of Taliban protecting few big cities like Kabul, Qandahar, and Herat etc. In this way Taliban got a chance to capture any city temporarily, making the citizens of the city realize that they are their real saviors. Moreover, the American NGOs working to change traditional Afghan into modern Afghans also reaped negative results for American interests in Afghanistan. Especially the presence of India in Afghanistan that has been criticized by the majority of American diplomats and Retired Generals that India is working against the American interests. However, America wants to pressurize Pakistan by blaming Pakistan for all the American failures to support the extended stay of America in Afghanistan. This is not possible; Pakistan is not ready to be exploited by America.